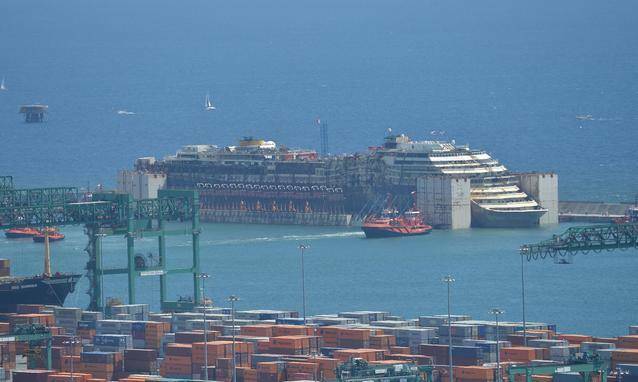 After a four-day trip from the Tuscan island of Giglio, the Costa Concordia arrived at the harbor of Genoa where it will be dismatled and demolished. Mission accomplished. 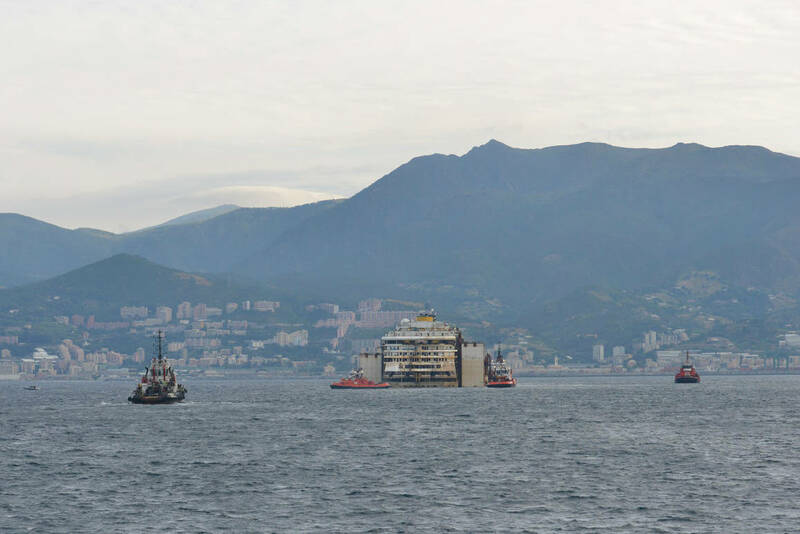 Final voyage for the Costa Concordia ended yesterday in the morning in Genoa where the ship will be dismantled before its demolition. Many people, together with many important representatives of Italian Institutions, were waiting at the harbor for the arrival of the gigantic ship that has been laying, since January 2012, on the cliff of the Tuscan island of Giglio. 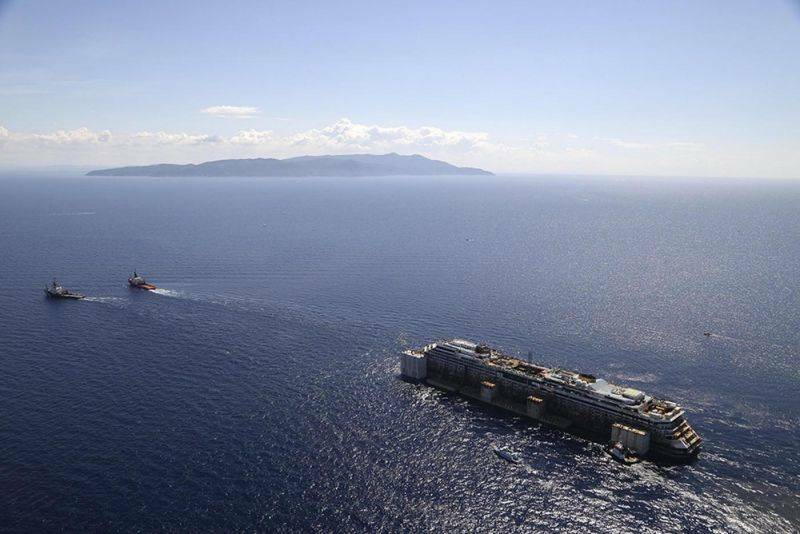 Thanks to huge metal boxes filled with air that were attached to the ship, it was possible to refloat the Costa Concordia and tow it away. The whole mission, that will cost to Costa Cruises 1.5 billion euro, was directed by Nick Sloane, salvage master at Titan Salvage, and his team, who made the trip of this giant, 87.196 ton ship possible, crossing more than 200 miles of sea. A slow and exhausting four-day trip which the world followed on television ended with a gloomy alarm announcing the arrival of the Costa Concordia at its final destination. 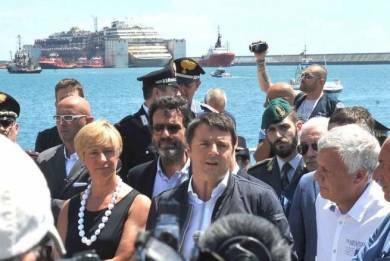 "This isn't a day for a show, but it's a mark of gratitude for getting something done which everyone said would be impossible," Premier Matteo Renzi said after the ship arrived in Genoa. "We had a terrible chapter to close, but Italy isn't a country destined for the scrap heap... It was an achievement, but not a happy ending." The tragic episode of the Costa Concordia took the life of 33 people. Former Concordia captain Francesco Schettino is on trial in the Tuscan city of Grosseto on charges of multiple homicide, causing a shipwreck by sailing too close to shore to "salute" Giglio, and abandoning the ship before it was evacuated. He is the only person on trial after four crew members and a Costa Cruises' official were sentenced to terms of up to 34 months in prison following plea bargains. Costa Cruises avoided criminal prosecution by agreeing to pay a one-million-euro fine, but victims are seeking compensation in civil courts.